The E-520 Fluid Rower from First Degree Fitness is a high-end rowing machine with fluid resistance that uses the Variable Fluid Resistance technology to replicate the feel of rowing on water. This rower is black and silver, with yellow accents. It weighs 150 pounds and is 76 inches long by 28 inches wide and 33.5 inches tall. The frame has a10 year warranty, the tank and seals have a 3 year warranty, and all other components have a 2-year warranty. It can fit into a square about two feet on a side for vertical storage. The maximum customer weight is 300 pounds. It has a monitor with all of the useful statistics- time, distance, 500 meter split, strokes per minute, calories burned, output in watts, as well as a special interval training feature. There is quite a variety of resistance levels- 16 in all- to provide a wide range of potential workouts and suit many different users. A high end rowing machine with fluid resistance that uses the Variable Fluid Resistance technology to replicate the feel of rowing on water. The fact that it combines all of the high quality components into one package that has a wide audience is a feat in and of itself. The E520's 16 different resistance options are perfect for just about anyone- the lowest level is barely any resistance at all, and the top level is an Olympic challenge. The parts are of such high quality that it is virtually impossible to distinguish the experience of using the machine from actual rowing. The whole motion feels natural and smooth. It speaks to the underlying quality of both the design and the parts of the E520. The E520's 16 different resistance options are perfect for just about anyone- the lowest level is barely any resistance at all, and the top level is an Olympic challenge. The parts are of such high quality that it is virtually impossible to distinguish the experience of using the machine from actual rowing. The whole motion feels natural and smooth. It speaks to the underlying quality of both the design and the parts of the E520. The parts are of such high quality that it is virtually impossible to distinguish the experience of using the machine from actual rowing. The whole motion feels natural and smooth. It speaks to the underlying quality of both the design and the parts of the E520. The whole motion feels natural and smooth. It speaks to the underlying quality of both the design and the parts of the E520. The biggest turnoff for the E520 is the price tag. Sure, it is possible to find a rowing machine that will only cost a few hundred dollars. However, the quality of that cheaper machine will be significantly lower- the pulling motion may have odd stops and hitches, and the resistance levels will be less smooth and natural. Aside from that, cheaper machines tend to break faster and more easily. So the price tag is less of a con than a signal. If you are willing to spend this much money on fitness equipment, the E520 is a good candidate for your money. However, the quality of that cheaper machine will be significantly lower- the pulling motion may have odd stops and hitches, and the resistance levels will be less smooth and natural. Aside from that, cheaper machines tend to break faster and more easily. So the price tag is less of a con than a signal. If you are willing to spend this much money on fitness equipment, the E520 is a good candidate for your money. The E520 fills its niche very well. 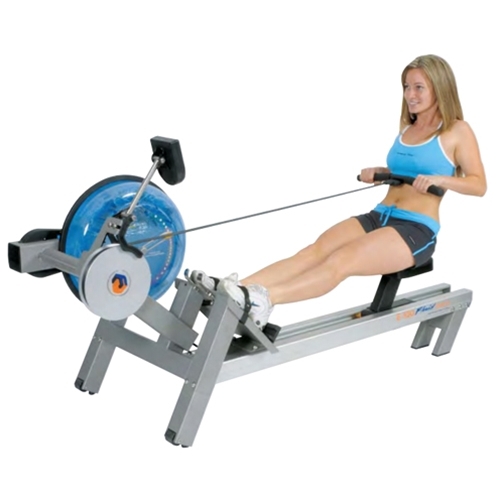 It manages to be one of the best rowing machines on the market and appeal to quite a wide potential audience. It probably is not the best idea for a person who has never owned home fitness equipment before, because someone like that might not be sure that they have the commitment to actually use such machinery. But if you know that you would use home fitness gear, then the E520 is an excellent choice.Rowing machines are already a very good category due to their ability to work muscles and provide intense cardio impact at the same time, as well as their small size. The E520 is at the top of its class for rowers. 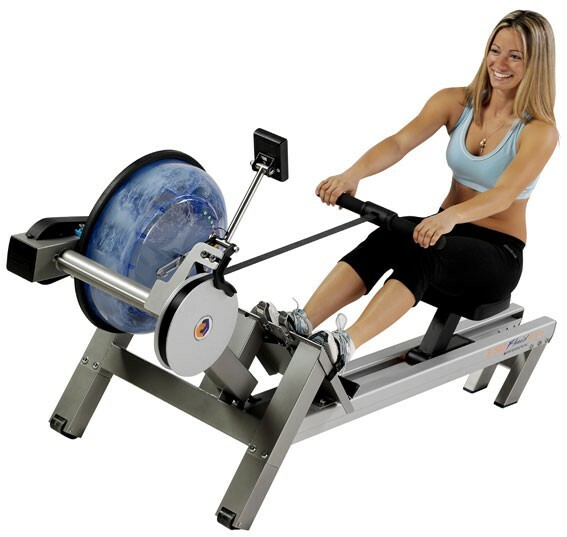 It probably provides a better workout experience and better results than other kinds of machines in a similar price range, like standing bicycle trainers, and it certainly outperforms other rowers. In this case, paying for quality is definitely worth it. Don't expect fancy features like speakers or a fan- this rower is all business. It is unmatched in its goal of trying to provide the best and most realistic rowing workout experience. Anyone with the budget to accommodate the E520 should put it at the top of their list. Rowing machines are already a very good category due to their ability to work muscles and provide intense cardio impact at the same time, as well as their small size. The E520 is at the top of its class for rowers. It probably provides a better workout experience and better results than other kinds of machines in a similar price range, like standing bicycle trainers, and it certainly outperforms other rowers. In this case, paying for quality is definitely worth it. Don't expect fancy features like speakers or a fan- this rower is all business. It is unmatched in its goal of trying to provide the best and most realistic rowing workout experience. Anyone with the budget to accommodate the E520 should put it at the top of their list. It probably provides a better workout experience and better results than other kinds of machines in a similar price range, like standing bicycle trainers, and it certainly outperforms other rowers. In this case, paying for quality is definitely worth it. Don't expect fancy features like speakers or a fan- this rower is all business. It is unmatched in its goal of trying to provide the best and most realistic rowing workout experience. Anyone with the budget to accommodate the E520 should put it at the top of their list. Don't expect fancy features like speakers or a fan- this rower is all business. It is unmatched in its goal of trying to provide the best and most realistic rowing workout experience. Anyone with the budget to accommodate the E520 should put it at the top of their list.